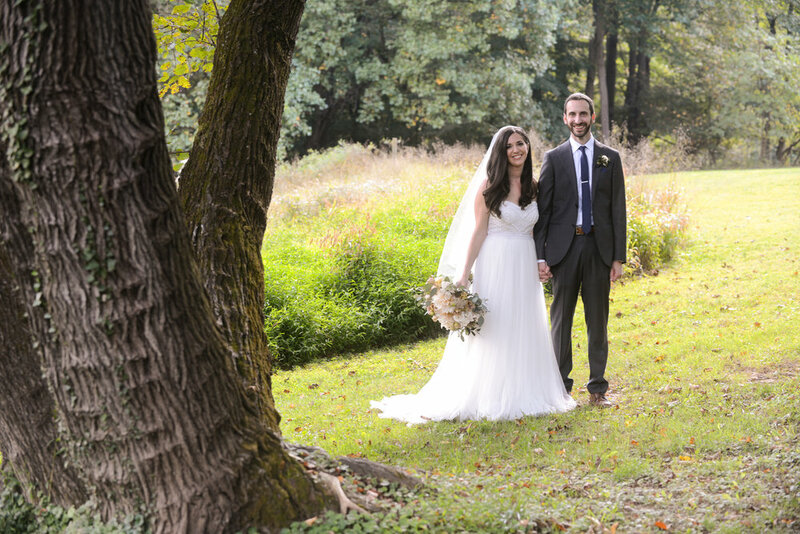 Monica and Jason were married on the perfect summer/fall cusp day at the ever beautiful Woodend Sanctuary. I really loved that Monica rocked her long, luxurious locks in a completely down-do by Styled by Anna Fazio. All of her bridesmaids sported half-up/half-down dos to round things out and they all happened to be brunettes…talk about complimentary looks! Although I was not present in the room, I know that Monica and Jason had the most special and intimate ceremonial Ketubah signing before their wedding. The actual Ketubah was spectacular with a vibrant blue circular design. It was displayed at the wedding ceremony alongside the equally spectacular chuppah designed by Growing Wild Floral. Before their Ketubah signing the couple shared another intimate moment with their first look. I usually am busy and/or want to give couples privacy during this time, but I couldn’t resist sneaking a peak on this one. It was so moving to watch Monica in her stunning dress walk along a picturesque path and reach out to touch Jason. 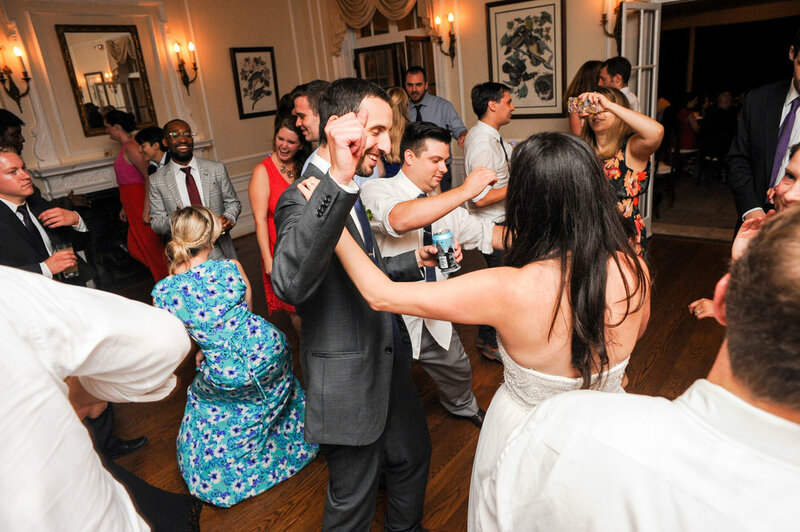 His reaction was so freaking priceless and captured perfectly by Kyle Bergner with George Street Photo. I would be remiss not to mention the guest appearance by their fur baby, Hunter. Monica and Jason gave lots of thought about how much they wanted Hunter at the wedding, but realized how it would be logistically difficult and settled on an epic cardboard cut-out of him instead! A happy and hilarious compromise that made for a fun addition to their DIY photo guestbook station. This wedding had all the best elements. Wonderful couple, simplicity, class, and joy. Congrats to Monica and Jason!